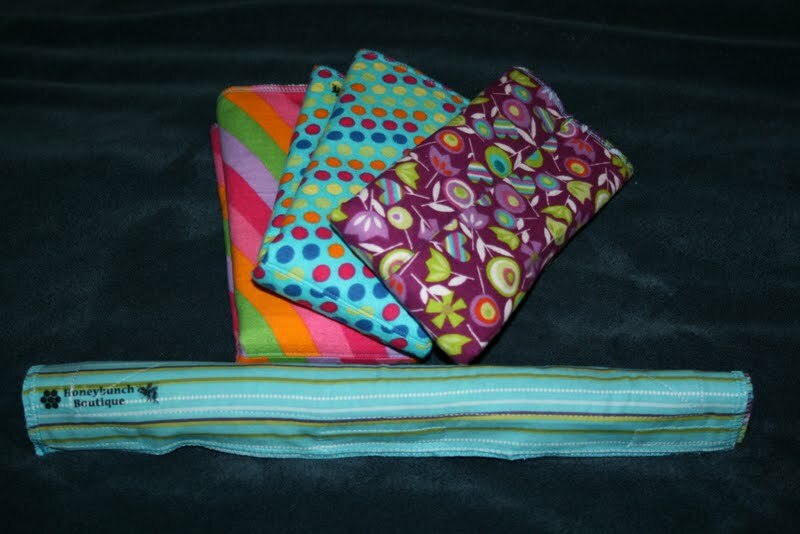 This set will be donated to an auction to benefit a good cause, Love 146, hosted by Bow Ties and Blossoms. 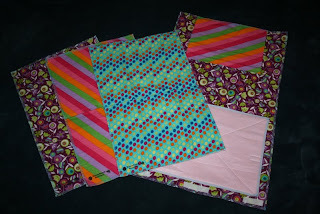 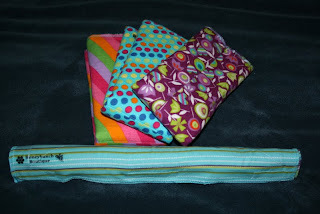 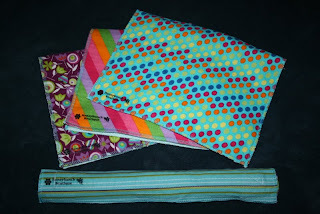 The burp cloths are flannel and chenille and they are 12x18 inches. 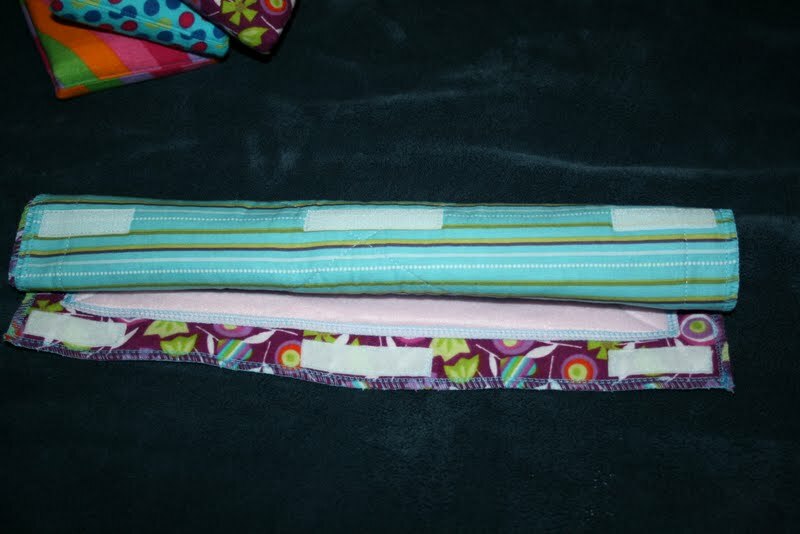 The changing pad is flannel on one side, coordinating cotton material on the other, with an extra layer of fleece where the baby's bum sits, to add cushion and in case of messy diapers! It has Velcro strips to keep it rolled up. 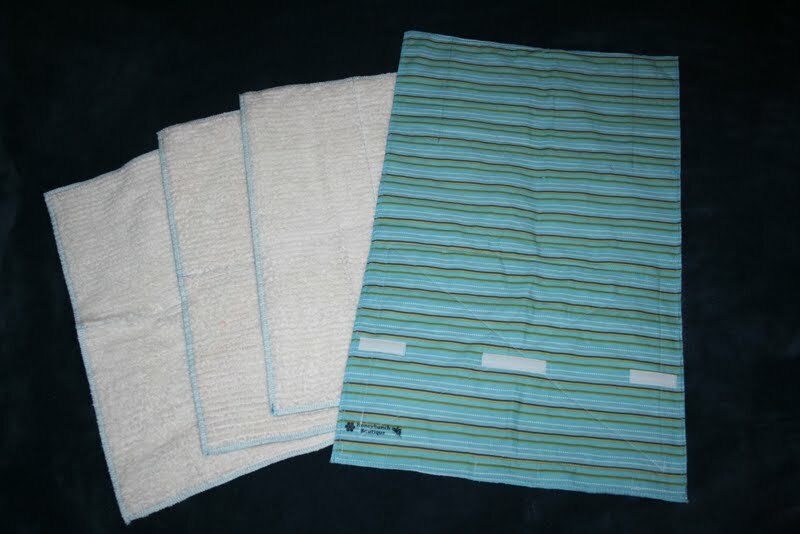 The changing pad is 15x24 inches, so it is plenty big to cover the changing station in public places, yet it rolls up to super small. 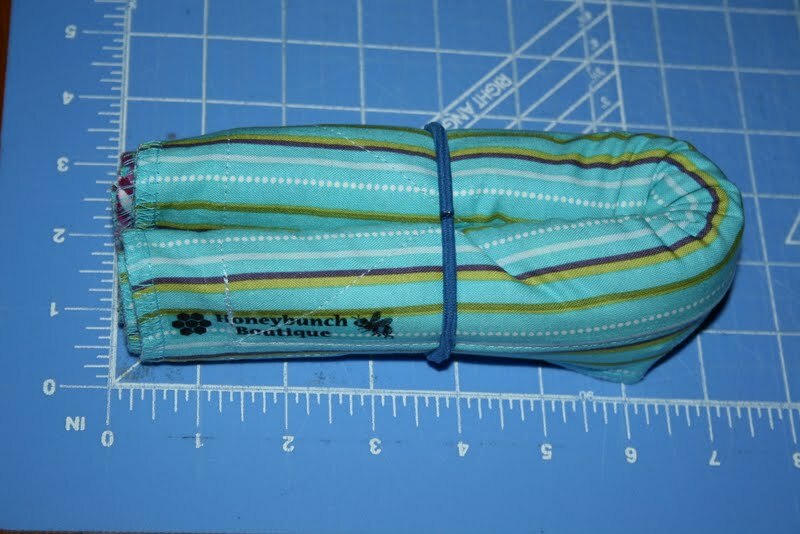 You can even fold it in half once you have rolled it up and you have a super compact pad that fits easily in your diaper bag.